• DUO™ technology allows you to flash different colors in the same lighthead. 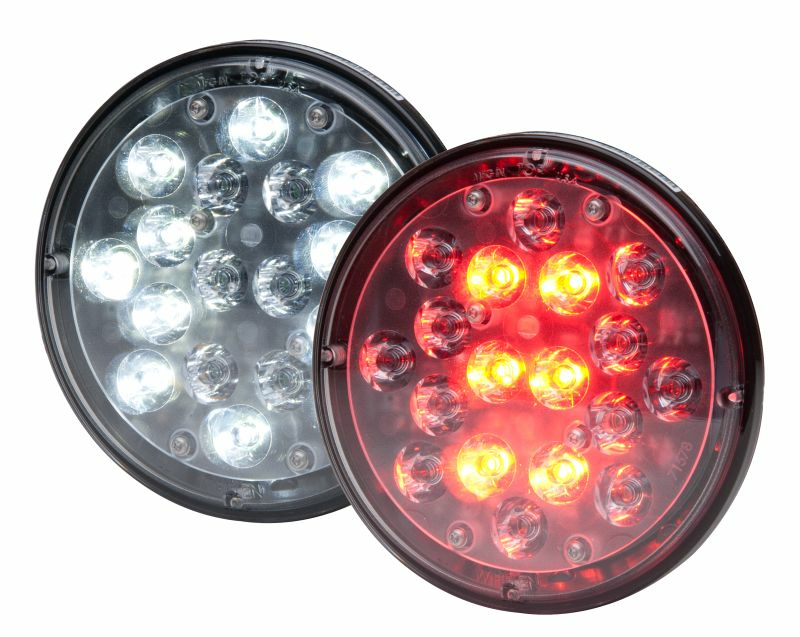 • DUO™ Combination 8° spotlight with flashing Red or Blue color warning light with 12 white diodes and 6 color diodes (patent pending). 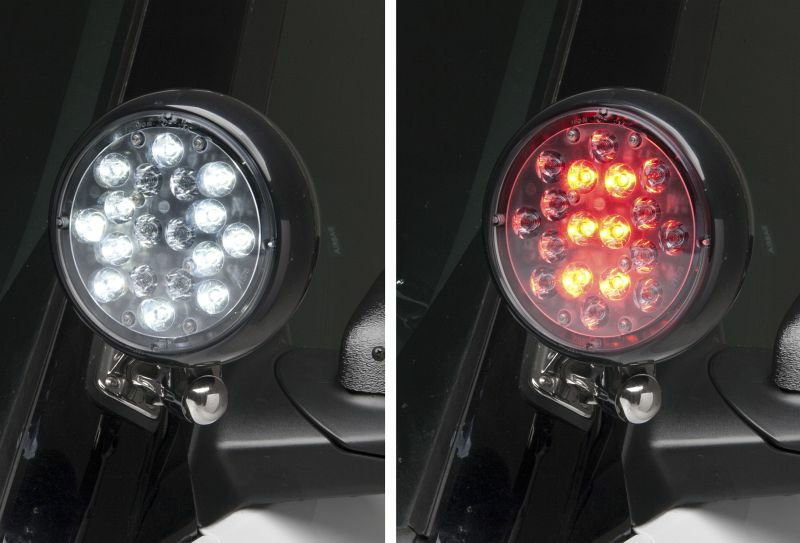 • Choose from steady White and flashing warning or steady White and flashing warning and alternating flashing warning with flashing White models (patent pending). • DUO 8" spotlight, White spot, California Steady Red. 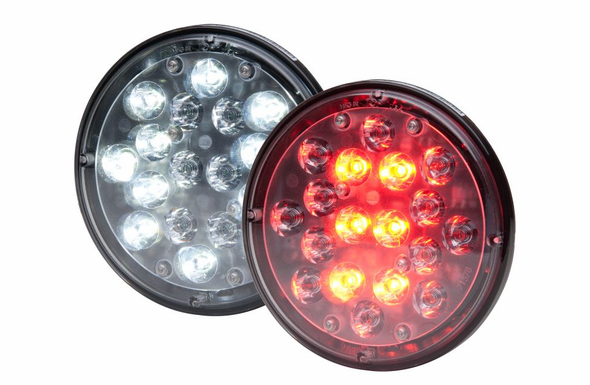 • DUO lighting provides unmatched spot lighting and effective flashing/warning protection in the same lighthead. • Replacement lamps come in a variety of models. including new 8° spotlight and 20° high x 60° wide floodlight in steady-burn colors with a choice of Amber, Red, Blue or White. 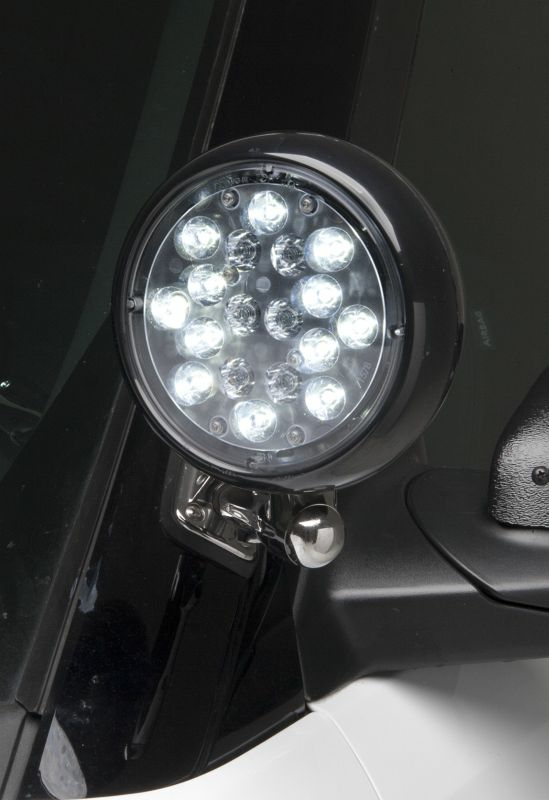 • DUO technology replacement lamps for Unity spotlight with combination 8° spotlight and flashing color warning light with 12 white diodes and 6 color diodes. Choose from three models.